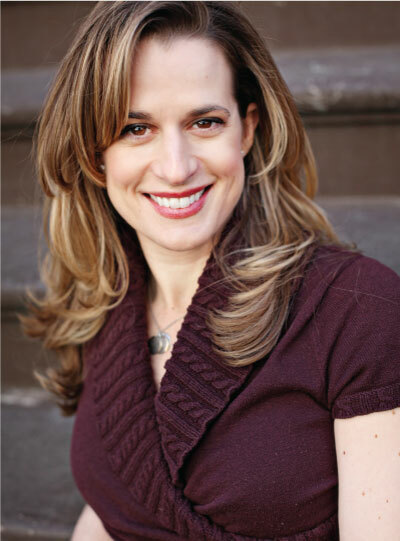 Dr. Karen Litzy, PT, DPT, has an out-of-network concierge practice in New York City. She sees clients in their home or place of work versus in a traditional brick and mortar clinic. She has been in practice full time for about five years. She can be reached at klitzy@me.com. Practice specifics (# of locations, employees, years in practice): Out-of-network concierge practice. I see clients in their home or place of work versus in a traditional brick and mortar clinic. I have been in practice full time for about five years and as a “side hustle” for about 10 years. Favorite vacation spot: Italy. It is hard to pick one city so I am going with the entire country! How do you like to spend your free time? Going to the gym, yoga, spending time with family and friends as much as I can. Like most about your job: I love the flexibility of my schedule as it allows me to focus on other ventures that can help push me both professionally and personally. Being able to have full control over my schedule is very special to me. I can make changes on a daily basis based on my patients’ needs and my needs. This goes a long way in avoiding burnout and keeping me happy on a daily basis. Like least about your job: The paperwork! I am sure I am not alone with this one. Most important lesson you’ve learned: A great lesson I learned years ago is to not only focus on the goal or the destination but to make sure you are engaged and present along the journey to that goal. Otherwise you might miss out on all of the beauty and lessons you can learn along the way. Describe your essential business philosophy: My business philosophy is to be present, to place my clients at the center of all of my business interactions and innovations, and to be the best person and therapist I can be given the information I have available to me at the time. I also acknowledge that thoughts and research into both physical therapy and business can change quickly, so I make a promise to my clients and myself that I will adapt to those changes. Describe your management style: Right now I have a virtual assistant and an intern who help me with my business (mainly the Healthy Wealthy & Smart podcast). I believe in hiring really great people who I consider to be motivated and self-starters. I am very clear with what I need from them, and they are clear on what to expect of me. This has to do with honest and simple communication and thorough training. Because of this my management style is pretty hands off with check-ins a few times a month. Best way you keep a competitive edge: I read: Whether it is research articles, blogs, or books, I read something new every week. I also listen: I listen to my clients, my colleagues, and my mentors as well as podcasts and lectures. It is important to note that not everything I read or listen to is physical therapy related, but I will often take that information and use it to better my business or myself. This last part is the key! You can read and listen all you want, but I believe you need to take action and use all of that newfound information for good. In my opinion this is what gives you the competitive edge. How do you measure your success? I measure success by my happiness, by the confidence my clients and colleagues have in me, and by the fact that I can do what I love every day and don’t have to supplement it with something I hate. Worst decision: Thinking I can do it all on my own . . . Hint: You can’t! Toughest decision: Leaving my part-time gig to go full time on my own. How do you motivate your employees? Right now I have two virtual employees, and they are both amazing! I can honestly say I don’t have to do much to motivate them! If you could start over, what would you do differently? I would have hired the right lawyer and accountant the first time to take me through the creation of my business. Describe your competitive advantage: My biggest competitive advantage is that I travel to the client’s home or office. This is huge in New York City because people are so overly scheduled they literally cannot leave work or school or their children to make one more appointment outside of their already hectic lives. Describe your marketing strategy and highlight your most successful action: My marketing strategy is made up of several different streams. My main marketing strategy is word of mouth. That has served me well for years, and the majority of my clients come to me based on the recommendation of a former client, a friend of mine, or even other therapists. Another strategy is to have a beautifully designed, simple website. I believe your website needs to be a reflection of you and a way to target your ideal customers. Your website needs to be user friendly (i.e., simple with a beautiful design free of gobbledygook and jargon) and be more focused on how you can help your ideal client versus how they can help you. I have had several patients come to me because they liked the design aesthetic of the site and felt a connection with me without even meeting me yet. Finally, I market to physicians (yes, I do like to have physicians on my team), personal trainers, yoga and Pilates instructors, and other physical therapists and medical professionals. Like I said, one of the things I am most grateful for is the team I have supporting me. This also applies to marketing my services. I want to surround myself with the best of the best because in the end that is how you support your clients and offer them a superior customer experience. What unique programs do you offer that set you apart from the competition? I am certified Level 1 through Titleist Performance Institute and have incorporated golf fitness evaluations into my practice. I have recently added a Surgical Package to my list of offerings. This includes 1–2 visits pre-surgery for pain science education, a home evaluation, and what to expect after surgery. I will then see the client in their home until they are ready to go to an outpatient facility. What are the benefits of PPS membership to your practice? PPS has great resources for private practice owners. I have taken advantage of their suggested paperwork for the clinic and start-your-practice guide. I also love the networking opportunities both at Combined Sections Meeting (CSM) and at the Private Practice Section (PPS) conference. What worries you about the future of private practice? Even though I have a cash-based or out-of-network practice I do worry about the falling reimbursement rates for outpatient clinics. We are a valuable and integral part of the health care system and should be compensated as such. We are no longer an extension of the physician and are now doctors in our own right and should be respected as such. What are you optimistic about? I am very optimistic about the Doctor of Physical Therapy students and recent grads as their enthusiasm and creativity will help to push the boundaries and widen the private practice net for all of us. What are your goals for the next year? My goals for 2017 are to hire one or two therapists to work for me, expand my offerings (not sure what those offerings will be, but I trust the market will spark an idea), monetize the Healthy Wealthy & Smart podcast in a meaningful way, start a webinar series for physical therapy entrepreneurs, and of course start planning the next Women in PT Summit. Where do you see the best opportunities for your practice in the future? I think every opportunity can be my next best opportunity, so I will know when I see it. What do private practitioners need to do to thrive in today’s health care environment? Diversify! Offer programs outside of the traditional physical therapy services such as wellness programs, meditation, running groups, lectures, continuing education, etc. Know your clientele and meet their needs before they even know they have them!